Austin Forkner has his game face on. 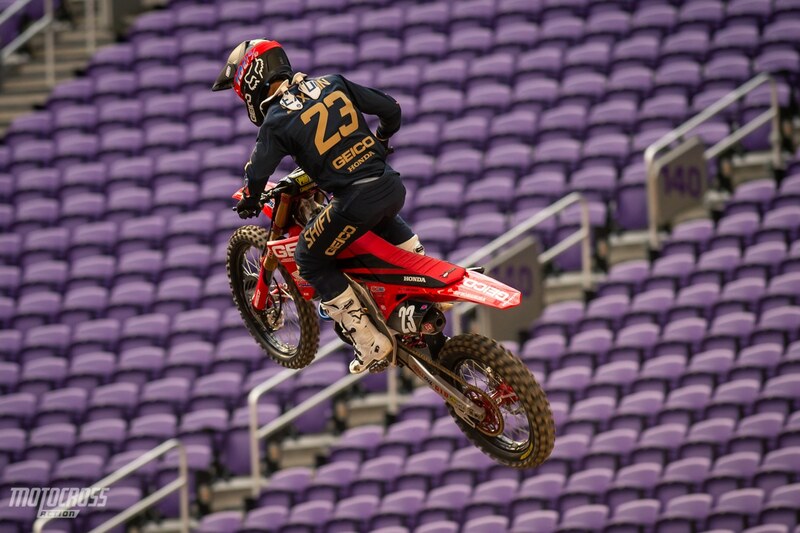 He is your fastest 250 qualifier in Minneapolis. It’s cold outside, but Supercross is here and the U.S. Bank stadium is heating up! 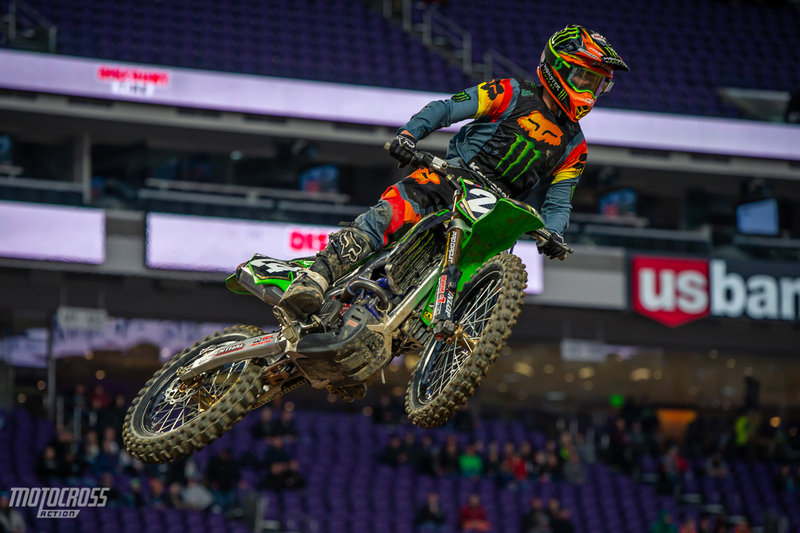 The 2019 Minneapolis Supercross is the sixth round of the season, but it’s the first round of the 250 East Coast series. The anticipation is high for the 250 East riders as they have been waiting to finally start their season. So far the track is shaping up nicely. The dirt is firm and there are quite a few ruts already forming in the corners and on the lips of the jumps. Qualifying is over and done with for the 250 class and the East riders are on the gas. Austin Forkner and Justin Cooper went back and fourth at the top of the leader board, but it was Austin Forkner who would claim the top spot in qualifying at round one of the 250 East Coast Championship. 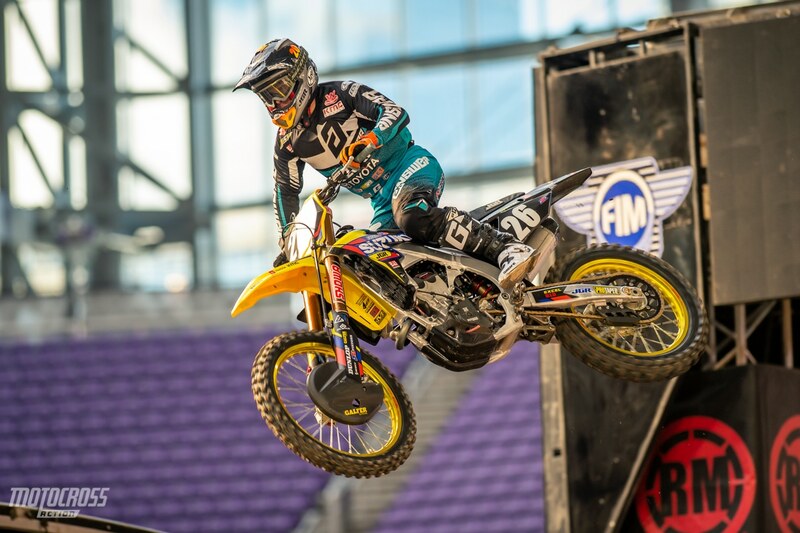 Keep checking back in with MXA throughout the night for news, results and photos from Minneapolis Supercross. 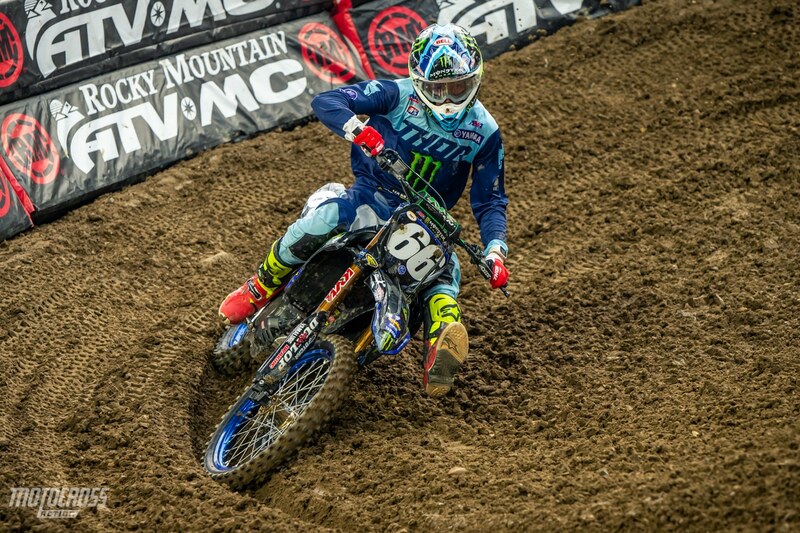 Justin Cooper qualified second, just two tenths of a second behind Forkner. 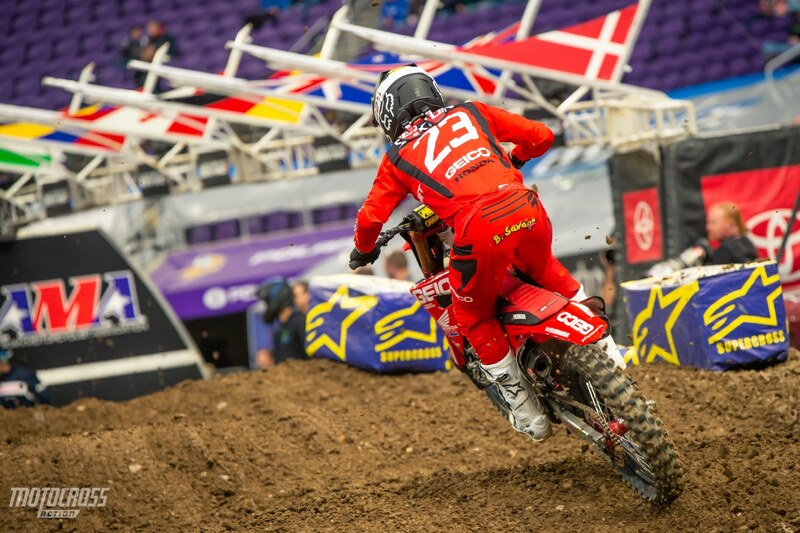 The Gieco Honda rider, Chase Sexton qualified third in Minneapolis. 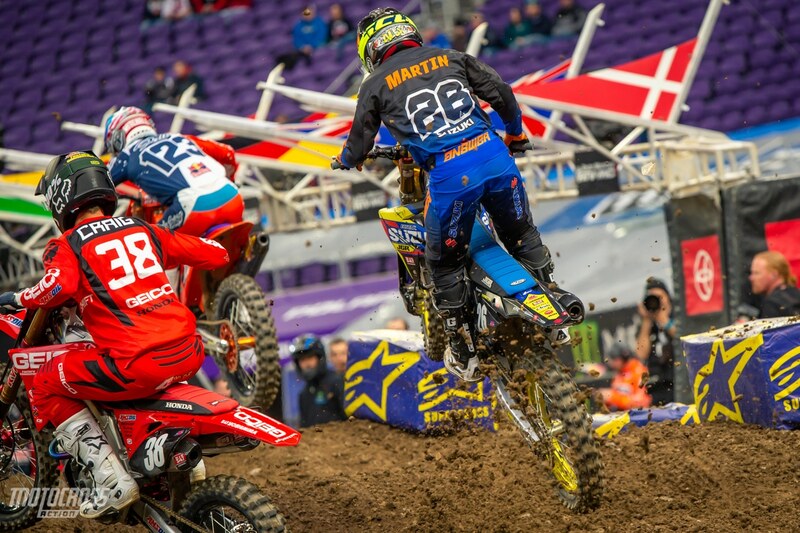 Alex Martin is from Minnesota so he should be used to the cold weather outside, right? Alex was sixth in qualifying. Mitchell Oldenburg is looking good. He qualified fifth. 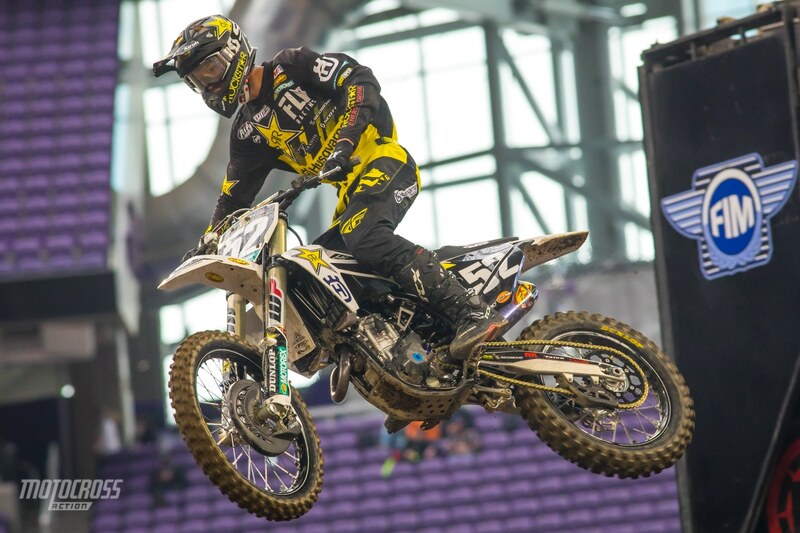 The Rockstar Husqvarna rookie, Jordan Bailey qualified ninth at his first ever Supercross. 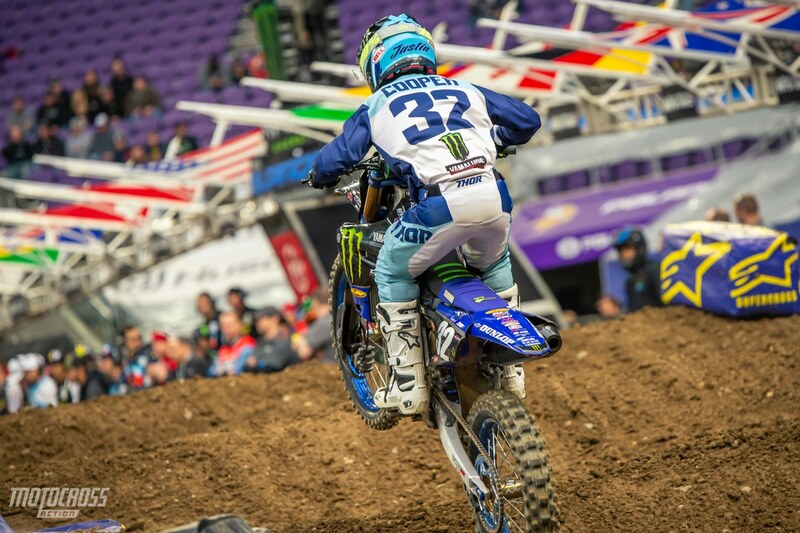 In 2018, Justin Cooper was a rookie in Supercross and he was injured at the second round. 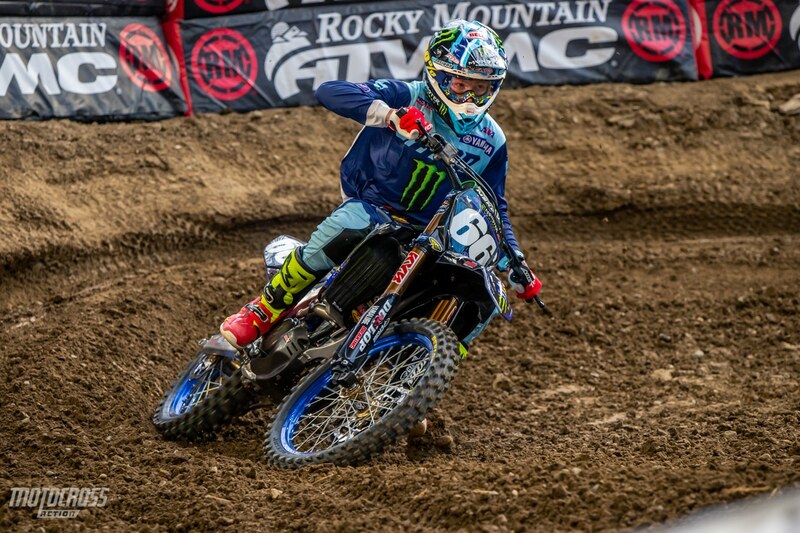 Justin missed the rest of the Supercross season and came back to racing for outdoors and he did extremely well. Now Justin is beginning his second year of Supercross and he’s off to a good start after qualifying first in 250 qualifying session 1. Chase Sexton sits third after the first 250 qualifying session. Alex Martin was sixth in the first 250 qualifying session with a 47.860. Mitchell Oldenburg is fourth so far in Minneapolis.